Pope Francis has sent today, Jan. 18, 2019, his condolences to the victims of the terrorist attack yesterday, Jan. 17, in Bogota, Colombia. Vatican Secretary of State, Cardinal Pietro Parolin, sent the telegram on the Pope’s behalf. 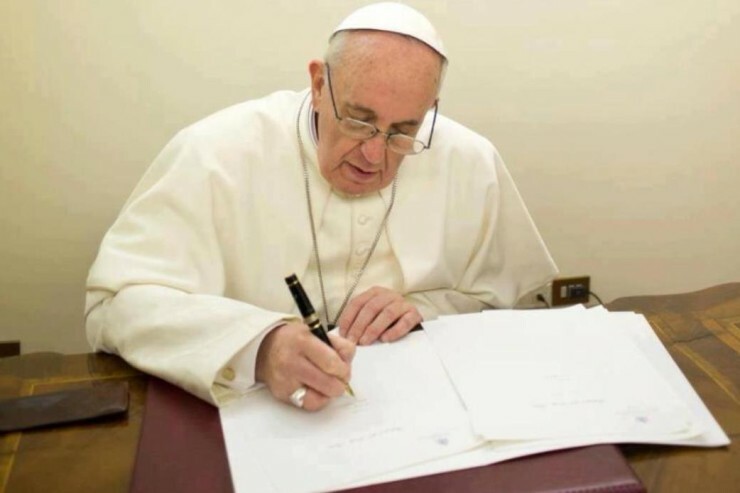 In the Pope’s telegram, he expressed he was ‘deeply saddened,’ offered his spiritual closeness to all affected, and once again condemned the attack as ‘blind violence’ and as a ‘grave offense against the Creator.” The Holy Father extended his heartfelt condolences to all Colombians, in particular the families of the deceased and all those injured. Pope Francis concluded, praying for God’s healing grace, and invoking upon the entire nation of Colombia divine blessings of consolation and strength. In face of the news of the cruel terrorist attack, which has sown pain and death in the City of Bogota, the Holy Father Francis expresses his most profound sympathy for the victims that have lost their life in such an inhuman action and offers prayers for their eternal repose. In these moments of commotion and sadness, he also wants his support and closeness to reach the numerous wounded, their families and the whole Colombian society. Once again, the Holy Father condemns the blind violence, which is a very grave offense against the Creator, and he elevates his prayer to the Lord, to help persevere in the building of concord and peace in that country and in the whole world. With these desires, His Holiness invokes upon all the victims, their families and the beloved people of Colombia the Apostolic Blessing.